Mrs. Eva Hayes, 94, of Edmonton, KY, died on September 2, 2018 at NHC Health Care in Glasgow, KY.
Mrs. Hayes was a native of Metcalfe County, Kentucky and the daughter of the late James and Ellen Shirley. 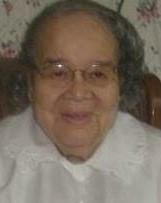 She was a member of Randolph Baptist Church. Survivors include her daughters, Vela Mae Huffman and Ruth L. Ferguson both of Louisville, KY, Julia V. Barlow of Summer Shade, KY, Ellen Maxine Clark and Sandra F. Harvey both of Indianapolis, IN, Brenda M. Hayes of Edmonton, KY; Marilyn G. Walker of Fort Wright, KY and Myra Shobe of Bowling Green, KY; a brother, George Shirley (Sally) of Glasgow, KY; three sisters, Zella Burris and Myrtle Russell both of Indianapolis, IN, and Mary Lou Love of Chicago, IL; 26 grandchildren; a host of great and great-great grandchildren, nieces, nephews, cousins, and friends. Funeral service will be 11:00 am on Saturday, September 8, 2018 at Randolph Baptist Church with Rev. William Fishback officiating. Burial will follow in the Randolph Church Cemetery. Visitation will be from 5:00 - 7:00 pm on Friday, September 7, 2018 at Hayes, Watts & Percell Funeral Home in Glasgow, KY.